View all homes currently For Sale in Tuscany Calgary. Email Glen at Glen@Godlonton.com for more details on any of theses great homes. Drop us a line to find out about any properties that may be coming on the market in the near future! Tuscany is a residential neighbourhood in the north-west quadrant of Calgary, Alberta. It is located at the western edge of the city, and is bounded to the north by Crowchild Trail, to the east by Stoney Trail, Bearspaw Dam Road to the south and Twelve Mile Coulee Road and the recently annexed community of Lynx Ridge and the rural acreages of Bearspaw to the west. The properties in this community have a real potential of having a great mountain view hard to pass up. Tuscany was established in 1994 and it was named after the region of Tuscany, Italy. It is represented in the Calgary City Council by the Ward 1 Councillor. 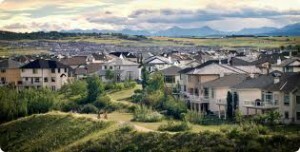 In the City of Calgary’s 2012 municipal census, Tuscany had a population of 19,013 living in 6,492 dwellings, a 0.9% increase from its 2011 population of 18,838. With a land area of 6.9 km2 (2.7 sq mi), it had a population density of 2,756/km2 (7,140/sq mi) in 2012. Residents in this community had a average household income of $92,453 in 2005, and there were 7.1% low income residents living in the neighborhood. As of 2006, 18.5% of the residents were immigrants. A proportion of 7.6% of the buildings were condominiums or apartments, and 2.7% of the housing was used for renting. This neighborhood has one public elementary school, Tuscany Elementary School (K-4), as well as a public middle school, Twelve Mile Coulee School(4-9). There is also a Catholic school, St. Basil (K-9). The Tuscany Calgary Community Association, formed in April of 2000, is a volunteer-driven body committed to addressing community issues, planning community events and recreation activities, and providing effective representation in civic matters. Membership in the Tuscany Community Association is voluntary and costs $25 per year. A single membership covers a household for participation in TCA-sponsored activities, and entitles one vote at the AGM. Becoming a member of the TCA costs only $25/year and can be easily accomplished by filling in our online membership form (instructions can be found in our membership brochure).